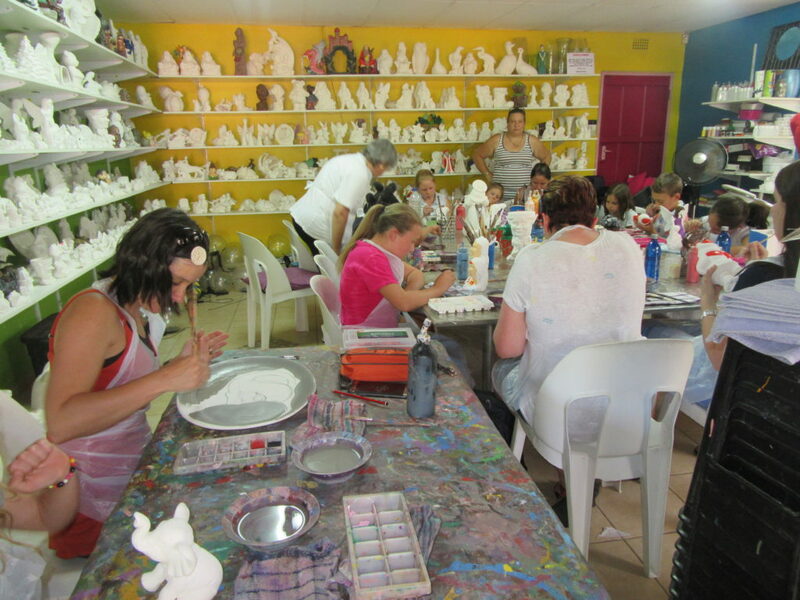 Recently my friend Abbey arranged a fun Mum’s and kids workshop at Pick & Paint Ceramics in Parkrand, Boksburg. Before going we selected items to paint from the catalog. 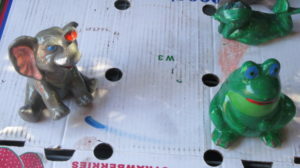 Acacia chose an elephant and Fjord a frog. I didn’t join in as pottery is my passion and I love decorating my ceramics with glazes. 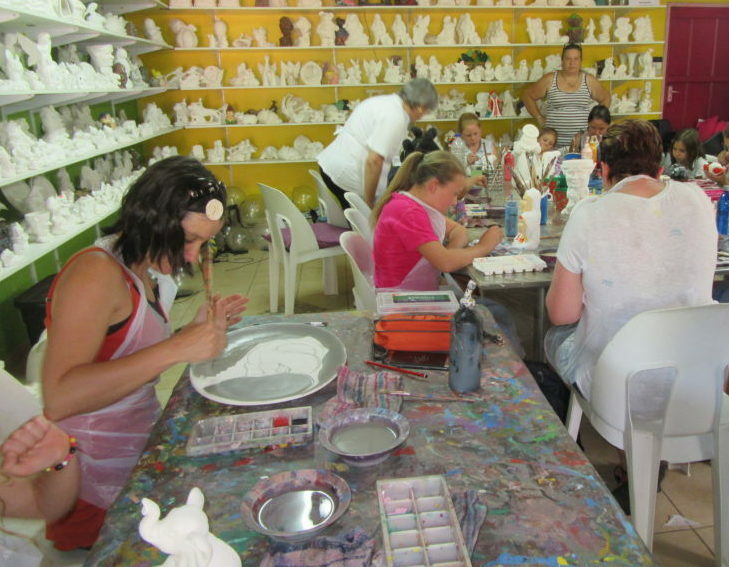 Pick & Paint have a wonderful range of molded ceramics, I browsed the shelves while the others worked. You don’t have to be part of a group if you want to go along and paint something. 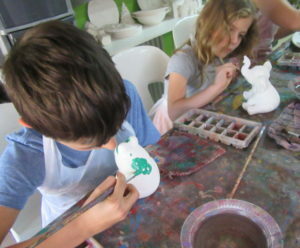 The children enjoyed themselves so much. I’m thinking of booking a small group for our next kids birthday party.